Takeda, a retired equestrian sportsman who is helping to organise Japan's hosting of the 2020 Olympic Games, was not immediately reachable for comment. Takeda denied on Friday the allegations of corruption and insisted that he didn't pay any bribes. The JOC said he was in Tokyo but gave no further details. Takeda said he had cooperated with a judge at a hearing in Paris on an unspecified date and "explained that I was not involved in any wrongdoing such as bribery". "The IOC Ethics Commission has opened a file and will continue to monitor the situation - and is meeting today". The IOC Marketing Commission are scheduled to meet in Lausanne next Saturday (January 19) but it is unlikely Takeda will attend given today's announcement. "Mr. Takeda continues to enjoy the full presumption of innocence". The preliminary charge of active corruption filed against Takeda was first reported Friday by French newspaper Le Monde. In France, investigative magistrates can decide to charge companies or individuals in a procedure known as "mise en examen" when there are "serious and consistent" indications showing likely involvement in the matter under investigation. Tokyo, the victor of the first round of the 2020 vote, defeated Istanbul by 60 votes to 36 in the second ballot. The charges against Takeda, who led Tokyo's successful bid, were filed December 10, said the person, asking not to be identified because the investigation is ongoing. "I just got the initial report on this, so I don't have sufficient information", she said. French financial prosecutors are looking at two payments, totaling €1.8 million ($2 million), made on either side of the International Olympic Committee vote in September 2013 to a Singapore company, Black Tidings, Le Monde said. The indictment by the French investigative magistrate does not automatically trigger a trial, but it means there is strong or corroborated evidence of wrongdoing. 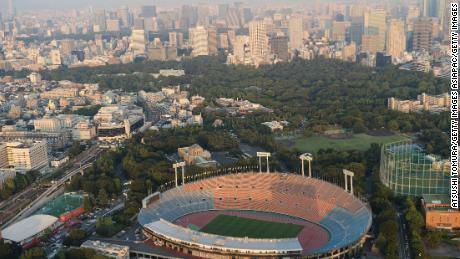 The investigation into the payments made before Tokyo won the 2020 Olympic bid was launched by French authorities in 2016. Le Monde reported that French investigators suspect Takeda of authorizing the payment of bribes. Japanese officials said at the time that the payments were legitimate consultant's fees, and a panel commissioned by the Japanese Olympic Committee said in 2016 that it found the payments to have been legitimate. Lamine Diack also is under investigation in France on corruption-related charges. He also said he did not know Lamine Diack. "No restrictions have been placed upon me", said Takeda. He became President of the Japanese Olympic Committee in 2001 and was subsequently elected for 10 consecutive 2-year terms, with the last re-election taking place in July 2017. A respected member of the committee, the JOC was prepared to extend their retirement age beyond the 70-years-old threshold to allow Takeda to remain president until after the 2020 Tokyo Olympic Games.